QUESTION: After taking Byetta regularly for my type 2, I found that the upset stomach, headache, etc wasn't worth it any longer and asked my doc for something else. As my A1C was now 8.2, he decided to put me on Levemir and Apidra injections. The first day of my injections my glucose was 173, HOWEVER, since that day almost a month ago, my blood glucose has never been below 250 , and this while on 2 daily injections!! I have been eating a healthy diet each day.. I walk for my exercise about 20-45 min's a day....but my glucose is up!! It is very important to inform you that a blood glucose concentration of 250mg/dl is considered too high. Such an elevation of the blood glucose concentration is leading to severe complications and you are obligated to take precautions. 1. The first thing, which you have to do is to inform your doctor about this elevation and the ineffective treatment. I have to tell you that obviously two injections days are not enough. So, make a consultation with your doctor about therapy adjustments or radical changes in the therapy. If your doctor is not able to put you on the right treatment, you are obligated to find a better one. 2. Other thing, which is showing the fact, that your diabetes is not well controlled is the A1C concentration, which is about 8.2%. Generally, this value has to be less than 6, so try to keep it within the normal ranges. In most cases, the combination of Levemir and Apidra works, but obviously in your case the dose is not enough, so again consult with your doctor about changes in the therapy. 3. However, regarding the exercises and the diet, you are doing something absolutely good. It is very important for you to keep up this good work, because diet and exercises are helping you to reduce your blood glucose concentration. 4. Another suggestion I can give you is to consider using certain herbs, which can help reduce your high blood glucose levels. Some of these herbs include bitter lemon, cinnamon, Gymnema Sylvestre or something else, which is appropriate for diabetics. 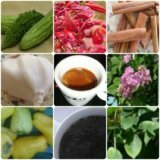 You have to know that these herbs are harmless, which means that their side effects are not observed during the usage of those herbs to control diabetes. Important fact is to remember that the herbs, the exercises and the diet along with the appropriate treatment are reducing your blood glucose level. It is not possible for everyone to minimize his/her blood glucose level without appropriate drug therapy, so discuss this issue with your doctor. How can be affected normal blood sugar level and the healing process during surgery? Can one have normal sugar level in blood but high sugar in urine? Can take a Medrol dosepak increase blood glucose to a dangerous level? Ask the Doctor now? Simply click here to return to Charts of blood sugar levels.